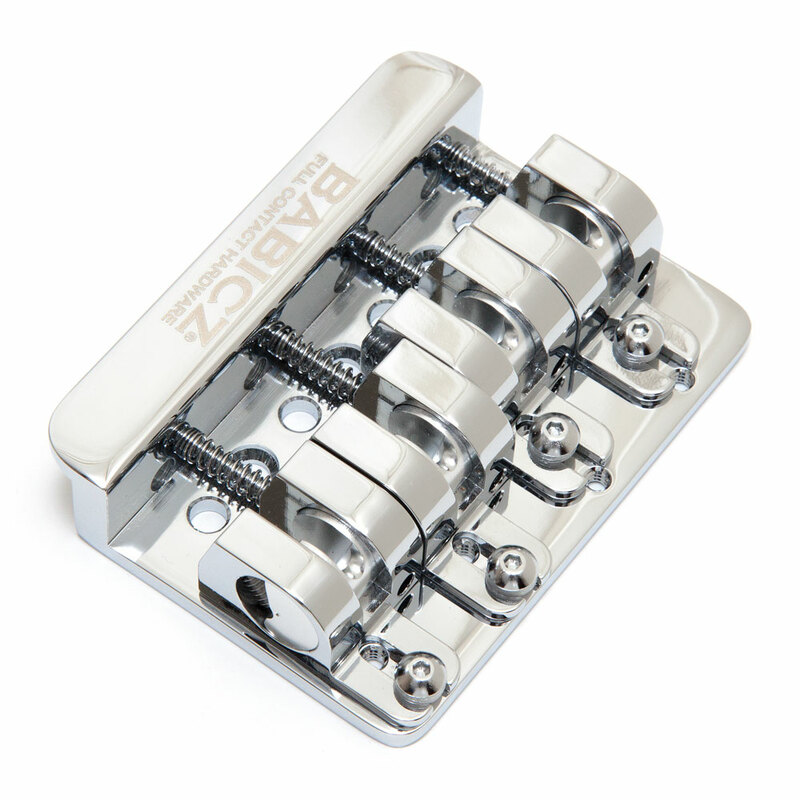 The Babicz FCH-4 AM Original Series String Through Bass Bridge is a direct replacement upgrade for modern Fender 3 hole mount Precision or Jazz style bass bridges and features their patented eCAM saddles. The bass string sits on their specially shaped 'encapsulated cam' which when adjusted, rotates in the housing smoothly changes the action of the string up or down, because the cam is fully supported by the saddle housing the connection between the string and the guitar body is greatly increased, maximising sound transmission. A separate screw locks the height adjustment of the saddle in place and another locks the saddle to the base plate after intonation has been set, ensuring maximum stability, no sideways movement and no possible buzzing. The bridge is made from lightweight aluminium and you have the option of both through body string mounting or top mounting, with four rear string ferrules included.